Tohatsu blue shade Fourstroke Fuel Injection decal replica Sold by Set for 2007 to 2015 Tohatsu 20 hp, 25 hp, 30 hp Outboard models. Please choose the best fitting size for your Outboard. 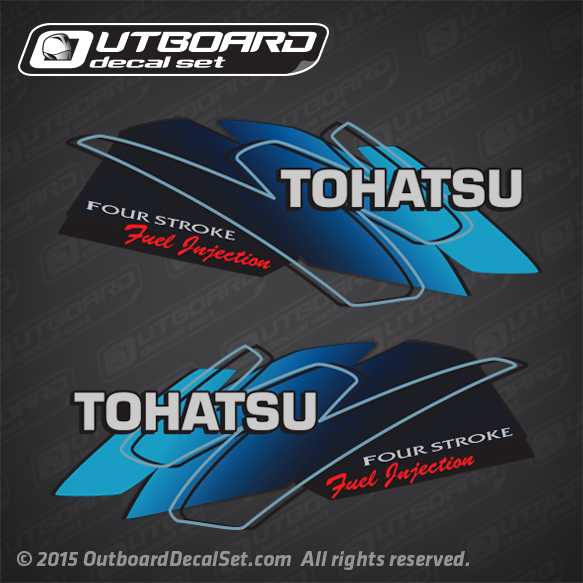 You get (2) Tohatsu Fourstroke Fuel Injection decals, one decal for each side.